Good Choice Reading: A November to Remember Blog Tour & Giveaway!!! A November to Remember Blog Tour & Giveaway!!! 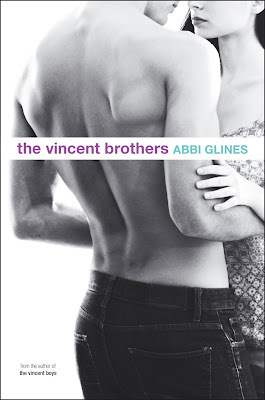 GoodChoiceReading invites you to join us as we take part in the totally awesome "A November to Remember" blog tour, sponsored by The Vincent Boys by Abbi Glines (already in stores as of October 30, 2012)! 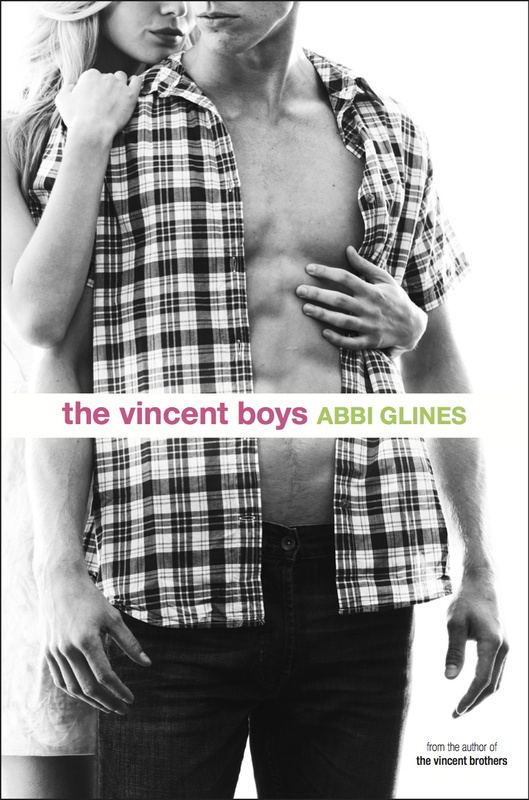 The Vincent Boys is a seductive story of attraction and betrayal. This November, The Vincent Boys are helping us remember the guys who have both stolen and broken our hearts. Get seduced by a sizzling account of attraction and betrayal in this previously self-published phenomenon. Ashton is getting tired of being good, of impressing her parents and playing ideal girlfriend to Sawyer Vincent. Sawyer is perfect, a regular Prince Charming, but when he leaves town for the summer, it’s his cousin Beau who catches Ashton’s eye. Beau is the sexiest guy she’s ever seen, and even though he’s dangerous, Ashton is drawn to him. Abbi Glines can be found hanging out with rockstars, taking out her yacht on weekends for a party cruise, sky diving, or surfing in Maui. Okay maybe she needs to keep her imagination focused on her writing only. In the real world, Abbi can be found hauling kids (several who seem to show up that don’t belong to her) to all their social events, hiding under the covers with her MacBook in hopes her husband won’t catch her watching Buffy on Netflix again, and sneaking off to Barnes and Noble to spend hours lost in the yummy goodness of books. It was September 7, 1997 (geez, that seems ages ago!) when I met my high-school sweetheart, Jason. He was charming, he was funny, handsome, smart, you name it! Everything a high-school freshman girl could dream about. Of course, this led to many diary entries and late night phone calls to the best friend! It was only 10 days later that Jason and I became a "couple". You know how it is in High School. Everything is so exciting! Every kiss is filled with passion, every hand-hold is a shout to the world that you're taken, every bit of drama may as well be the end of the world. Well...the best part about Jason and I is that we are not just some high school couple, or even a college couple, and definitely not just husband and wife. No, what we are goes much deeper than that: we're soulmates. Jason has stolen my heart - and yes, broken my heart on many occasion as well - but most importantly, has always been there for me when I needed him most. His soul is permanently tethered to mine -- whether he likes it or not! 2) Leave a comment below about a guy who has stolen or broken your heart! The sequel to The Vincent Boys, The Vincent Brothers will be released December 18, 2012. Follow the Rest of the A November to Remember Tour! 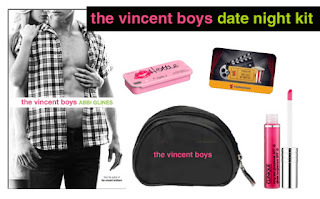 Finished with The Vincent Brothers? Lets call him Ricky, crap that IS his name. Well he broke my heart cause I was young and an idiot. We were friends for months, when we finally did get together... *sigh* Nothing good ever came from it. Over the years, I've had my heart broken a fews times but when I met my hubs I knew it would be safe. He's the best guy, we're opposites in a lot of ways but very much a like in all of the important things. In over 10yrs I think we've only had a dozen fights and none of them were major. He always has my heart and keeps it safe. Thanks for the giveaway. The boy who stole my heart is one of my guy friends. After either of us has a huge blow up in our lives (break-up, illness, family emergency, ect...) we always find comfort in the other, but we aren't together. I've known him for 10 years and one of us has always been in a relationship. Now, I'm graduating from college a semester before him and we don't know where either of us will end up so we aren't quite ready to take a chance. Maybe someday. This sounds so good!! I cant wait to read this! Adding it to my TBR pile. Sounds great! Thanks for sharing! Best wishes and many blessings to you! My husband, has my heart. We have been together since highschool. Great giveaway. His name was Michael and he was the only guy who never really lied to me about our relationship. i will always treasure that about him. Plus, he was my one, real true love. The boy who stole my heart is now my fiance. He is a great guy, I am lucky to have him in my life. The boy (even though he was 25 he was still a boy!) that broke my heart the most was named Andy. We were head over heels and then he got accepted into the Police Academy and never had time for me any longer. We remained friends and he eventually married and now has three kids. 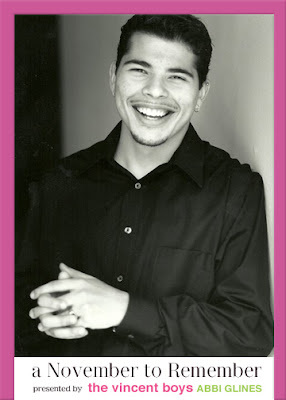 I still feel like he was "the one"
The one that stole my heart was someone I went to school with in middleschool. we were friends for a while and nothing ever came of it. The one who stole my heart was a boy I used to go to school with. We never became more than friends. His name was AJ. We meet after my last performance in the Copacabana musical. We both loved theater and dance, but he was two years older than me. The whole age difference was not a problem with me, but it was for him. So he blew me off. Sounds fantastic! Thanks for the great giveaway! The person who stole my heart was my husband, he recaptured it with his brave fight against heart disease. In December 2009 he received a new heart, September 2012 we ziplined over the rainforest of Australia, and whitewatered the Olympic course! The person who stole my heart is my boyfriend of two years, we have known each other since we were kids, and he picked on my endlessly. I would have to say that I am lucky enough to have married the man who stole my heart, and it has been a wonderful 6 years! my hubs stole my heart. we had worked together for a couple years before really talking at a party one night. in fact he was my boss and we had to keep the whole relationship hush hush until I quit right before we got married. now here we are 13 yrs later and still in love. There was this guy last year, and I honestly thought we were perfect for each other. We'd been friends for three months and dated for about another. Then just as suddenly, he dropped off the face of the planet. I finally heard from him about a week or so later and he was going out with friend of a good friend of mine and didn't bother to tell me. Yeah..love hurts sometimes. The that broke my heart I have spoken to in five years. Nuff said. bye bye. It was in year 5, his name was Jack L. I had a crush on him from the very first day of school, he had finally started to talk to me, but then that year, he broke my heart and went to live in England. Story of my life! His name was Adam and he was a senior in High School and I was a sophomore - I was 15 going on 16 and he broke my heart when he told me that because he was going out of state for college that we should 'cool' things off before he leaves so it wouldn't be as hard to say goodbye. We broke up when he left and i've never forgotten him, but he wasn't the one that got awawy :-) Two years later I met a guy when I was a senior and he is now my husband.